How often do you read outside of SFF? 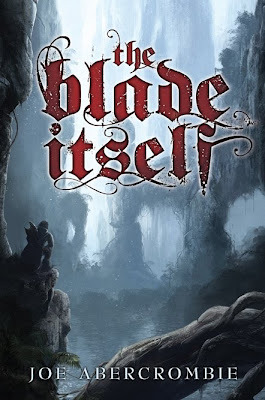 Subterranean Press is a bit behind in the production of the limited edition version of The Blade Itself. The delay had to do with finding the right artist and also one who could fit it in their schedule. Alex Preuss, best known for his Sci-Fi art, is the final artist who does some gorgeous work. I like the illustration and understand the reason for keeping the same font from the original edition, but it does seem a bit incongruous to the art. 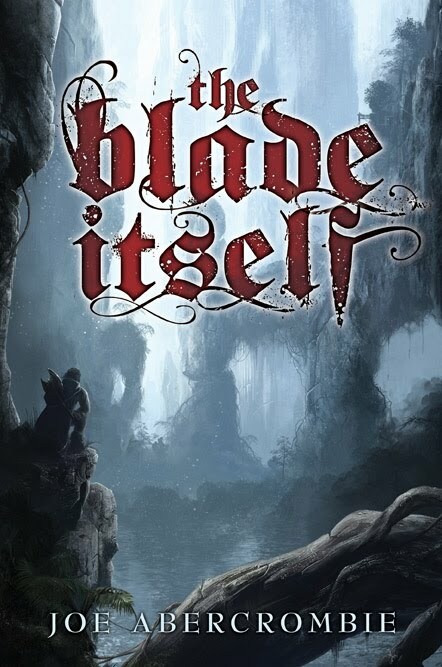 This is a project close to my heart since I'm among those who have pre-ordered The Blade Itself from Sub Press as a hardcover US edition never happened. Sub Press has also released one of the interior colorplates, which I had a lot of trouble placing in the world of the First Law since it looked more Sci-Fi than Fantasy. 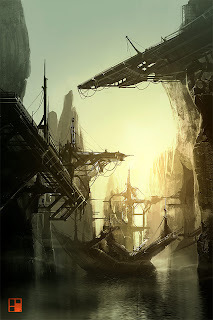 Theories say it is the shipyards of Gurkhul, the house of the Maker, or Dagoska. UPDATE: Abercrombie has confirmed it is the shipyards of Gurkhul. It's okay. Not blown away. I think its the font for the title that seems harsh against the artwork. I don't know.